If you like this blog, you’ll love this book! Order on-line at walkerville.com or purchase at Juniper Books, the Art Gallery of Windsor’s Uncommon Market, The University of Windsor Bookstore, From the Heart Gift Shop, Page 233 in Amherstburg or directly from the authors by emailing elaine@walkerville.com. 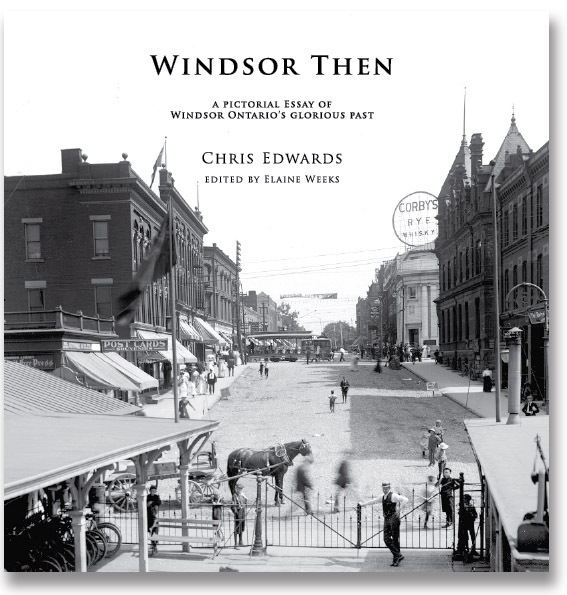 Walkerville Publishing's latest book cover shows how Ouellette Avenue looked, circa 1910, as seen from the deck of a ferry boat docked at the Depot on the Detroit River. Sadly, almost all of these buildings have been demolished.